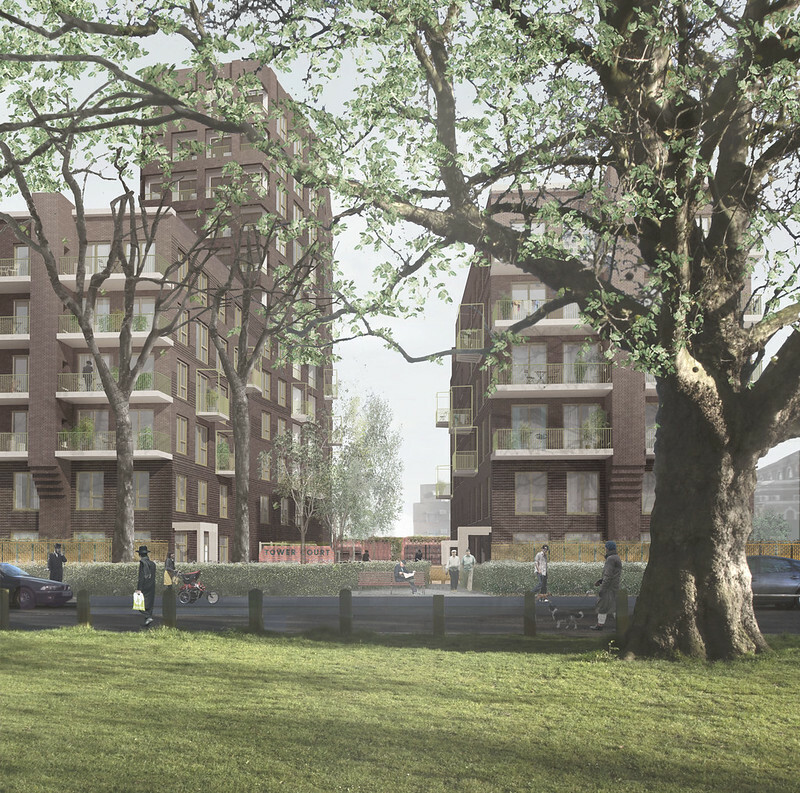 Overlooking Clapton Common in Stamford Hill, the award-winning regeneration of Tower Court will include 132 high-quality new council homes alongside a new home for the Hatzola ambulance service. Tower Court previously contained 2 blocks built in the 1950s which were in poor condition and uneconomical to refurbish, and were demolished in 2014. Redeveloping these homes has provided an opportunity to provide existing council tenants with a new home on the same tenancy conditions as their previous property and additional council homes for social rent and shared ownership to help meet local housing need. The social rent homes will be allocated to families who lived at the previous homes at Tower Court with the remainder going to those on the housing waiting list. These are prioritised for people living and working in Hackney who are unable to afford to buy a home outright but are unlikely to be prioritised for social housing. As Stamford Hill includes a large Orthodox Jewish population, the homes have been designed with the needs of this community in mind while remaining accessible to all. The development includes a high proportion of large, family homes in accordance with the demographics in the area. As well as new homes, the development will provide a new home for Hatzola North London - the volunteer-run ambulance service. The designs for Tower Court have been led by Adam Khan Architects working with muf architecture/art. They have worked with the Council and architects to create an award winning design that will provide generously sized, high-quality homes surrounded by outdoor space that has been treated with as much thought and care as the buildings themselves. Our construction partner is Countryside Properties, who will also market the homes for outright sale. Construction of the homes is due to begin in autumn 2018 and should be completed around 2021.